Tony Hall was born in Galax, VA, among the rugged Blue Ridge Mountains, an area known for its bluegrass music, furniture factories and textile plants. He was the second child and the only boy among four sisters. Tony in his younger years was raised primarily by his grandmother. He says he learned more from his grandmother in those first six years than he’s learned in his life since. Tony began his formal education at age six when he entered first grade. Thanks to the attention of his grandmother, he was reading before he stepped into his first school building. He was very fortunate to have a wonderful teacher his first year in school. Ms. Kyle recognized his academic potential and ability so placed him with a second grade class for reading each day. He credits Ms. Kyle for helping him to foster a love for learning that fed a curiosity that his grandmother had encouraged. During the years to come, Tony excelled at academics and athletics, playing football and baseball throughout his public school years, ultimately going on to play baseball in college. He would was student body president in high school and his academic success helped him to earn scholarships for college. He was the first on either side of his family to attend college. Tony believes, that “If not for the special attention and encouragement of a few great teachers and coaches along the way, I would not have realized the opportunity to attend college and to escape the furniture factories that were my likely future otherwise.” It was those teachers and coaches that would most influence Mr. Hall to become an educator and coach himself. Tony served in the U.S. Army and the U.S. Army National Guard before graduating from Radford University in 1990. Tony earned his BS degree and teacher certification. Then returned to his hometown where he taught at the local middle school and coached high school football and baseball. After 5 years he and his wife relocated to Durham, NC where Tony operated a youth home for troubled boys. He says, “That experience taught me patience and how to love kids in a way I had not experienced before.” And it was that experience that encouraged him to pursue school leadership. He earned a Master’s Degree in Administration from UNC Wilmington in 2000, and an Ed.S. Degree from UNC Greensboro in 2012. Tony worked many years in the Alleghany County and Guilford County public schools, where he held positions as Assistant Principal, Principal and Assistant Superintendent. For six years, Tony was Principal of East Surry High School in Pilot Mountain, NC, where he was named the district Principal of the Year in 2009. The school won numerous awards under Tony’s leadership, including The NC Lighthouse School Award and US News Bronze Medal High School. More recently, Tony served as Head of School at a charter school in Statesville, NC. Tony has two daughters, Grayson and Taylor. Grayson will be starting her second year at Appalachian State University and Taylor will be a high school junior in Winston-Salem, NC, where she lives with her mother. When Tony is not spending time with his daughters, he enjoys golf, working out, hiking, reading, movies, philosophy, music and sports. Mr. Hall takes his role as school leader seriously; however, he also realizes the need to have fun, both on the job and in his personal life. In his spare time he enjoys playing golf (although that is very limited in recent years), working out, hiking and other outdoors activities, and he has been to 37 Bruce Springsteen concerts! 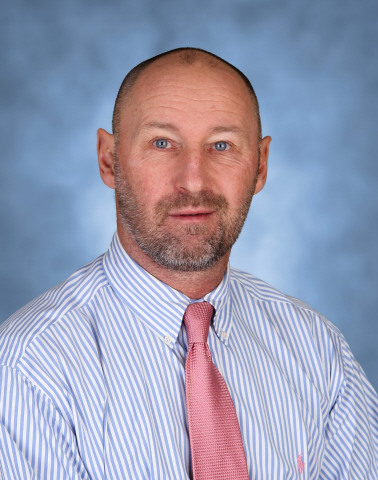 Mr. Hall says that he is “very excited about the opportunity to serve the Charlotte Secondary School community.” He views school leadership as a “service endeavor achieved most successfully through love for children and dedication to their success.” He looks forward to leading the staff at CSS to carry out this endeavor!